At the closure of Val Anzasca at the feet of the northeast face of Monte Rosa lies Macugnaga, an intriguing village with quiet alpine pastures and traditional Walser architecture. Reaching Macugnaga on a steep mountain road lets you feel the remoteness of these mountain dwellings. No matter if you are an avid mountaineer, a happy skier or simply a mountain lover – in Macugnaga you will find an intense mountain experience. While travelling north (coming from Milan or Turin) from the Padan plain the Monte Rosa massif dominates the horizon and makes for an impressive grand view. Its highest peak Dufourspitze reaches 4,634 m or 15,302 feet and is named after the Swiss politician, general and one of the founders of the International Committee of the Red Cross. 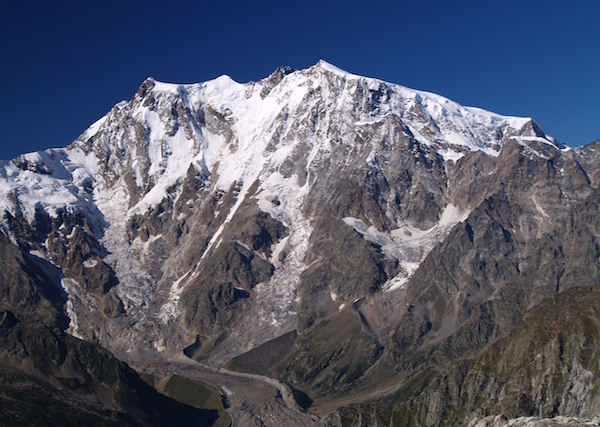 Its eastern face, 2,500 m or 8,500 feet tall, is the tallest face in Europe. The Walser, an Alemannic people from Valais in Switzerland, found Macugnaga in the 13th century. They crossed the mountain passes to settle in neighbouring valleys, mostly above an elevation of 1,000 metres thus colonizing previously fallow land. They did so supported by the owners of these territories as they settled in unsociable land, adding to the value of the landlords. For centuries the villages lived in splendid isolation keeping their traditions and dialect. [/et_pb_text][et_pb_accordion admin_label=”Accordion” toggle_text_color=”#099445″ use_border_color=”off” border_color=”#ffffff” border_style=”solid” body_font_size=”12″] [et_pb_accordion_item title=”Read also…”]Winter sports Italian style? Macugnaga consists of groups of dwellings or frazioni all above 1,000 m above sea level. All frazioni are still named in the Alemannic dialect (and in Italian, too): Duorf, In der Mattu, Zer Burfuggu, Uf dem Biil and there are 15 more. An interesting detail: the famous Margherita hut on Monte Rosa peak Signalkuppe, at 4,554 m (or 14,941 feet) the highest building in Europe, belongs to the territory of Macugnaga, too. The groups of houses and the frazioni are spread out as far as 10 kilometres. A stroll around the dwellings seems like walking around a world where time stands still. Start your walk from the main square Piazza della commune in Staffa and follow the street Via della Chiesa Vecchia which leads you to the ski lift to Monte Moro and the frazione Duorf. Here you find the church Chiesa Vecchia (Old church) from the 13th century with its cemetery on which many alpinists found their final rest. A rigid policy preserved the original dwellings and village character and kept modern architecture from changing the shape of the frazioni. Every single one of them is autonomous with its own church and oven for baking the typical rye bread. Another beautiful walk leads from Isella to Quarazza, on which you reach the sunny (even in winter it is a very sunny place) Lago delle Fate within half an hour. If you continue your walk in the pristine Quarazza valley you will reach Crocette with its ruins of a former gold mine, active until the 1950s. The most beautiful view onto the Monte Rosa east face you have from Alpe Bill, a sunny alpine pasture, which can be reached by lift (first station of Monte Moro ski lift) or on foot from Pecetto (one hour walk, use snow shoes if there is a lot of snow). 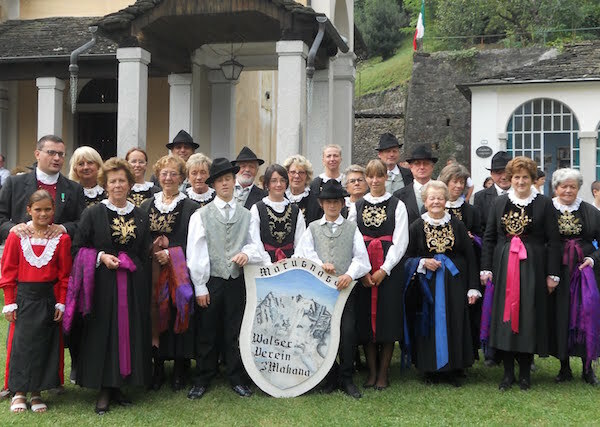 Walser’s communities are in Piedmont and Aosta Valley. Their language is a variation of the southern German dialect. To learn more about the life of the Walser people go see the Museo Casa Walser situated near the church in frazione Borca. In this building from the 17th century rooms have been reconstructed and show the objects used for work and in everyday life of these ingenious and arduous mountain people. In the mine museum Miniera d’oro della Guia you can learn all about the gold rush at Macugnaga. The museum can be visited in four slots during the day and with a guide (in winter reservations are obligatory). I am a blogpreneur, translator and online journalist, who believes in the game changing power of entrepreneurial spirit. So far I have lived and worked in six countries. I call Piedmont home now. To me discovering a place means using all senses!